As a full-service new 2018, 2019 and pre-owned BMW dealership, we offer our customers not only the finest selection of new BMW sports cars and luxury SAVs in Murrieta, but an expansive inventory of pre-owned cars and Certified Pre-Owned BMW vehicles as well. Thanks to our Hendrick Auto Group connections, you can shop thousands of pre-owned options with one click. 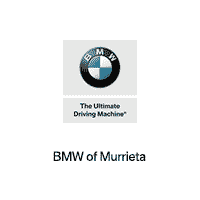 BMW of Murrieta	33.531420, -117.170690.